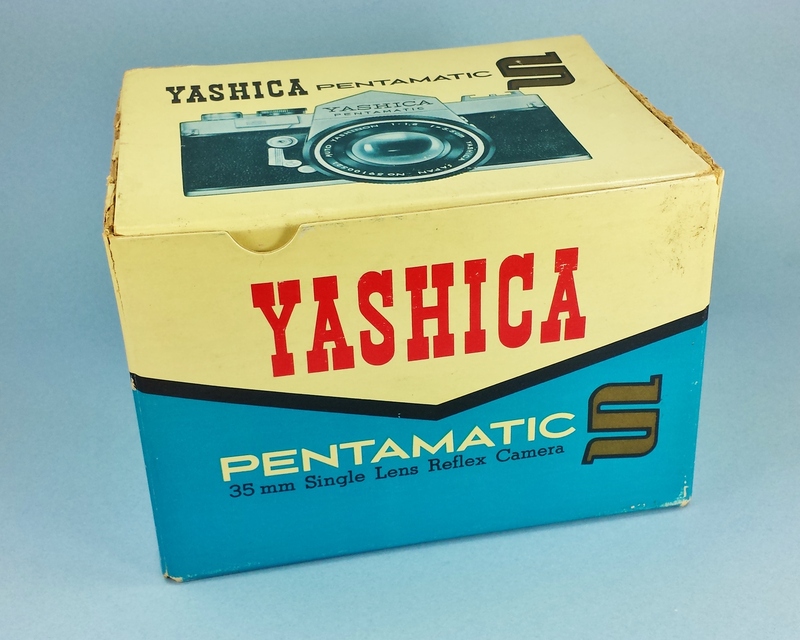 Not often seen Yashica Pentamatic S original box from around 1961. This box features an actual image (photograph) of a Pentamatic S and lens on the box lid. The lens is from an early release (at least by serial number which is from 1959) series more likely found on the original Pentamatic released in mid 1960. The box came to me from Tokyo and is now part of my collection. It does need some restoration work done on the flaps and the hinge area of the lid… otherwise it’s in pretty good condition overall. It is a strong departure from the original Pentamatic box which was its own unique design and style. This box follows in line with what became the “standard” Yashica box for most of their cameras released in the 1960s, 1970s and early 1980s.